Using the TOC Widget is completely optional. This feature allows you to have the TOC inserted into an existing Sidebar Widget Area instead of into the main content body of the article you're writing. This can be helpful when the content body in your WordPress theme is rather cramped when a TOC is present. Drag n' drop the TOC Widget into a Sidebar and set the Widget title. 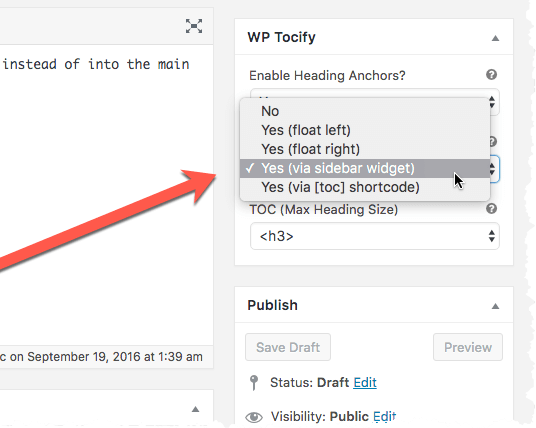 When creating a Post, choose the display option that tells WP Tocify to insert the TOC into your Sidebar.